When I first started running sales teams I hated the idea of annual sales plans. I found them to be arbitrary at best, and distracting at worse. I’d always insist that I’d be better off spending the time selling, or working with my sales team than wasting time creating false assumptions designed to make my management team happy. 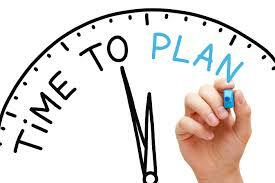 Over the years I’ve learned that sales planning, done correctly, can have tremendous benefits. It should create alignment between sales, marketing and the rest of the organization; and provide a map to guide decisions and assess progress. The problem with most sales plans is that they are too complicated, take too much time to create, they're rarely reviewed and they create a false sense of certainty. What results are we going to accomplish in the next year? The depth you go to is dependent on the size and complexity of your business. The objective should be to create a clear picture of the result, without overwhelming anyone with detail. It’s also important to note that the purpose of setting the goal is to create clarity and focus for your efforts. A sales plan is fluid and should be reviewed and updated regularly. Don’t get so stuck in hitting a specific target that you miss a major opportunity. How will we accomplish those results? It is far better to do fewer tactics well, than a lot of tactics haphazardly. This is the biggest mistake I see in sales organizations of all sizes. They’ve established a huge goal, so they decide they need to launch 10 new initiatives. It never works. Choose the fewest tactics possible, and never add more than 2 – 3 new tactics at any one time. When & how will we assess progress and make adjustments? Decide up-front when and how you will measure success and make adjustments. I’m a firm believer that a sales plan should be reviewed monthly and evolved quarterly. That said, every tactic you use will not be on the same cycle. For example, when we launch a new inbound lead generation and management approach, we acknowledged that the first three months of the effort are focused on building the infrastructure so little to no measurement can be done at that time. The first real measurement occurs 60 – 90 days later, and that measurement is solely to assess traction and initial response. At this point we’re only looking to tweak message and focus. We don’t want to overreact positively or negatively too soon. From there we’re able to set up a clear structure to review progress and results allowing us to dial in the results and build predictability into the system. Taking an approach like this to each tactic you choose is crucial to getting the traction and sales results you desire.